Our Finnhütte has a size of approximately 35 m². In the spacious living room a comfortable couch, a wardrobe and a flat screen TV waiting for you. Also on the ground floor, the new modern bathroom has a sink, shower and toilet. A spiral staircase leads to the upper floor, where the kitchen area and the bedrooms. The kitchen equipment includes a cooker with 2 plates, a Abwäsche, a fridge with freezer, a coffee machine, a mini oven and a kettle. The bedroom has 3 single beds and a small dresser. Before Finnhütte invites a small terrace with garden furniture to relax. Besides Finnhütte there is a lawn where you can relax and soak up the sun. Welcome to the Finnhütte fir! Our small cozy Finnhütte located amid the Harz mountains, in the city Oberharz am Brocken in the district of fir. On about 35 sqm (living room, 1 bedroom) is comfortably accommodate 2-3 people. The approx 500 sqm garden, lovingly planted with greenery, offers a holiday destination, where you can spend your holidays in a relaxed atmosphere. A small terrace with barbecue and a lawn invite you to linger. Tanne, every season is an ideal starting point for long walks or hikes in the branched network of paths of the resin. In the winter the trails are groomed and provide a connection to the surrounding villages. We invite you to enjoy carefree hours in our Finnhütte. The Harzort Tanne is located in the center of the resin near Brocken, Wurmberg and the resin cities Wernigerode and Goslar. Tanne is a place with about 700 residents. 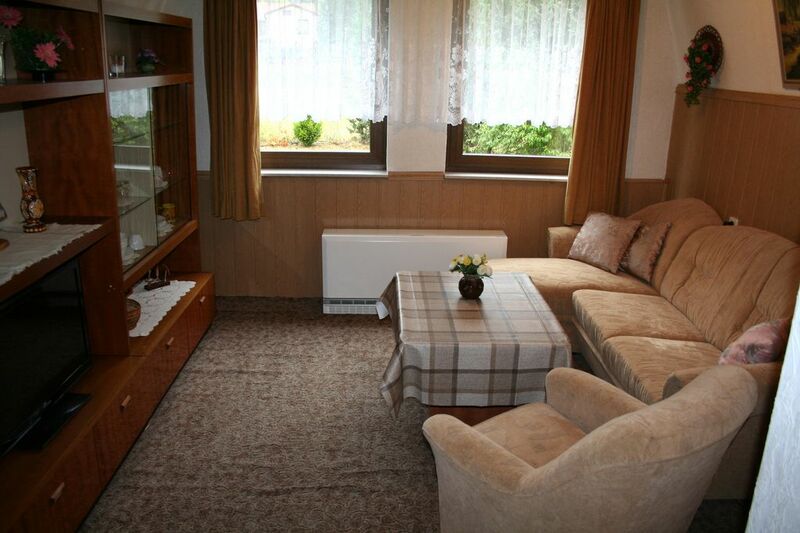 Diie Finnhütte is located in a quiet residential area, in the back of our garden. Restaurants are within walking distance nearby. A children's playground is located about 200 meters from the Finnhütte.